Leopard Brokerage is the exclusive site for the purchase and sale of pre-owned Leopard Catamarans. The site is dedicated to serving the pride of Leopard Catamarans and the many private Leopard Catamaran owners around the world. The selected used catamarans for sale on Leopard Brokerage are some of the best equipped catamarans available on the market today. Whether you are looking at one of the luxurious Leopard catamaran listings or one of the select pre-owned catamarans from other builders featured on the site, you will receive the same exceptional service provided to all Leopard catamaran owners. If you are selling a Leopard catamaran, we can help you reach the international market to find the right buyer. The award winning Leopard 45 made a big splash when she launched in 2017 and won the Boat of The Year Award. Looking for a new catamaran, a catamaran in a charter ownership program, or a used charter boat? View new and used catamarans available for purchase from Leopard Catamarans, The Moorings Yacht Ownership, or The Moorings Yacht Brokerage. Our monthly e-List advertises the best deals on the brokerage market each month, as well as new listings and price reductions. Sign up for our eList so you never miss an opportunity to find your boat! 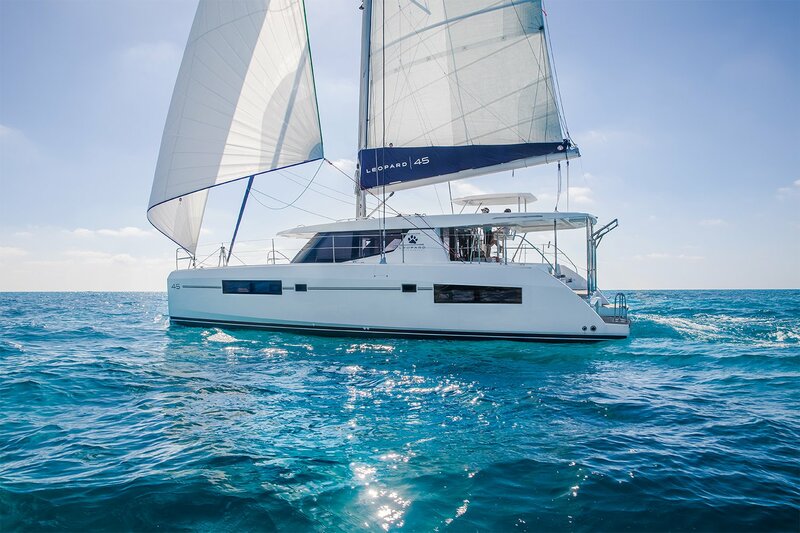 Our expert brokers explain the used catamaran purchase process from start to finish. Learn what to expect before you even place a call.